Tele pups in an SG? Discussion in 'Pickups' started by Layne Matz, Mar 23, 2019. 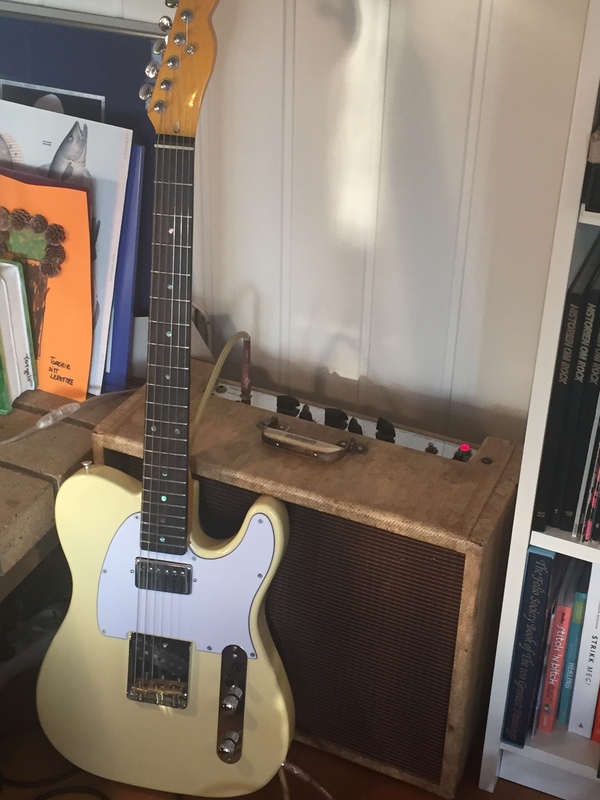 How about replaceing the stock bridge with a raised Tele one? I probably wouldnt ever do it but its interesting to consider. I dont really care whats traditional or not, mechanically and electrically most combinations can be practically useful one way or another for somebody. Of course it's possible, but I'd rather just get a Tele, really. And then put a humbucker in the neck of the Tele instead. Ive always loved Tele pickups no mattet what they are in, and if I dont like them in an SG I'll put them in my Strat- which is my dedicated slide guitar. Being a huge Muddy Waters fan, I have no problem with Tele tones. They are as versatile as anything else. Korina lools pretty darn good! So does that other Tele. My biggest aversion to Teles is that sometimes at gigs I'm standing or walking around for nearly 4 hours solid- part of why i love my SG. My strat measure out to be 13 or so pounds... And that gives me a shoulder ache. I have tendonitis, but it hasnt been too much of a problem since last summer- it comes and goes. P.S. I'll still have my G400 with humbuckers and special wiring. The second SG is really just for the fun of it, but I dont want the same set up as my G400, I'd like it to be unique from the other pickup configurations I have on other guitars. I always live on a low budget so this wont be a quick project if only due to the costs.